Our portal satedua.com offers information / services in the fields of music, humor, celebrity’s and also offers a choice of several popular radio stations in the Europe countries . The published video songs are in most cases by the renowned Albanian singer / artist. The Published radios have been proposed by our fans and from a large list selection only eight radio stations have been published. 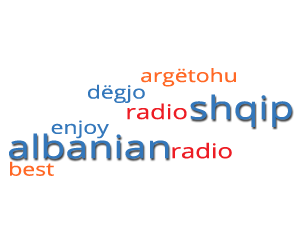 The horoscope section contains some addresses of websites that offer an Albanian horoscope. We wish that you can entertain you with our services.